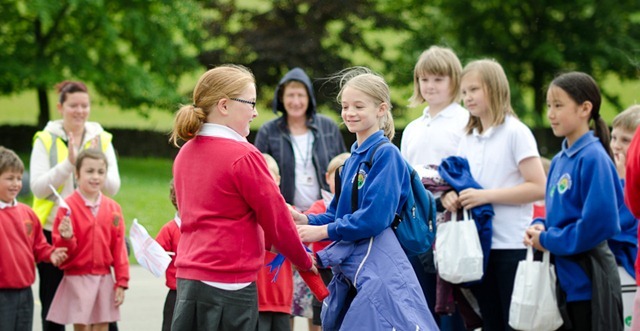 The whole school went on the river walk towards Hathersage today, with Y6 taking the role of the advanced party to deliver the cluster schools’ Olympic torch to St Michael’s. After the handover took place, a large rainstorm hit disrupting plans somewhat. The two parties made it back separately, both a little wet, but thoroughly invigorated by a terrific walk in the woods. Posted on June 15, 2012, in Trips. Bookmark the permalink. Leave a comment.